Do your students LOVE Legos? I'm right there with them. 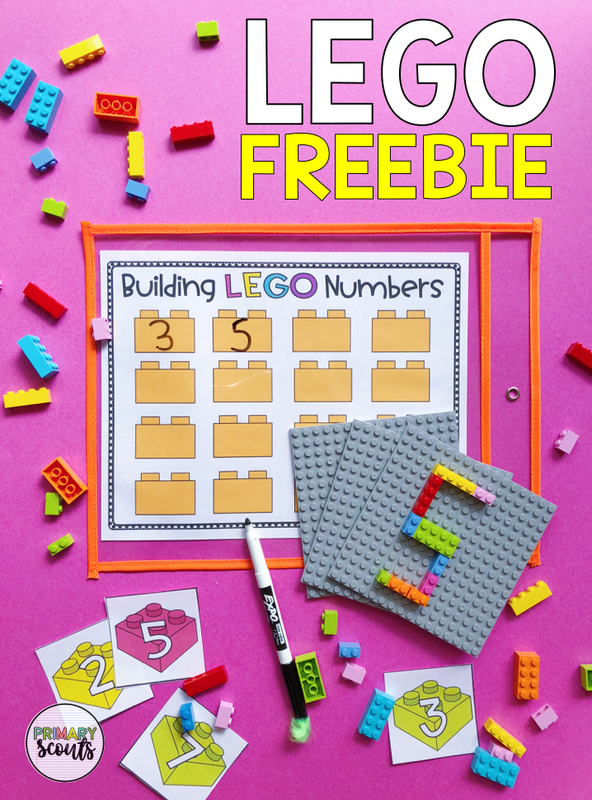 Have your students put down their pencil and paper for a little bit and practice forming letters and numbers using LEGOS and a lego base for some extra fun. I picked up a few $1 packs of legos and a $1 base from the Dollar Tree to pair with this freebie resource in my Teachers Pay Teachers shop. Included in the resource, you'll get 2 recording mats, a set of number cards from 0-20, and the upper and lowercase alphabet. To prep, I run my cards through a laminator for long-lasting use, cut them apart, and place the recording mat into a plastic dry-erase sleeve for students to use time and time again.